Welcome to Liptober – our October special offer to help your lips look their best. 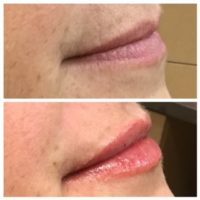 Lip fillers can help restore plumpness to your lips and fill lip lines. They are administered via injection with no invasive surgery, no downtime and immediate results. Learn more about dermal fillers. Buy one 1ML syringe of lip filler and get one SkinMedica HA5 Smooth and Plump Lip system. SkinMedica’s HA5 Smooth and Plump Lip System is a two-step at-home treatment that’s been clinically proven to plump lips while also providing deep hydration and smoothing. Buy two 1ML syringes of lip filler and get one SkinMedica HA5 Smooth and Plump Lip System and an additional $100.000 savings. To claim either offer, be sure to prepay for your filler treatment in October ($200.00 down). You then have until December 31st, 2018 to complete the treatment in one of our offices. Spring Skin Care Product Sale May 7-11 In "News"
Huge Sale on glo minerals Cosmetics! In "Esthetician Blog"